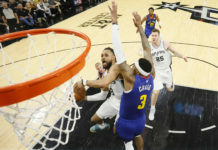 And this isn’t to say that I or anyone else playing armchair coach from their living room is smarter than Michael Malone; I’m sure there was plenty more that went into the decision than simply telling Jusuf Nurkic to take a seat on the bench and promoting Nikola Jokic to the starting lineup — Tim Connelly’s opinion on the matter, for instance. Do I wish they pulled the trigger on a full-scale lineup change a few weeks ago before the team went 2-4 on a six-game road trip? Sure. But beggars can’t be choosers, and I’m just happy they figured it out now, before it’s too late; Denver’s now just half a game out of the eighth and final playoff spot. But let’s break it down and look a little closer at why inserting Jokic, Harris and Chandler into the starting lineup has made such a remarkable difference. 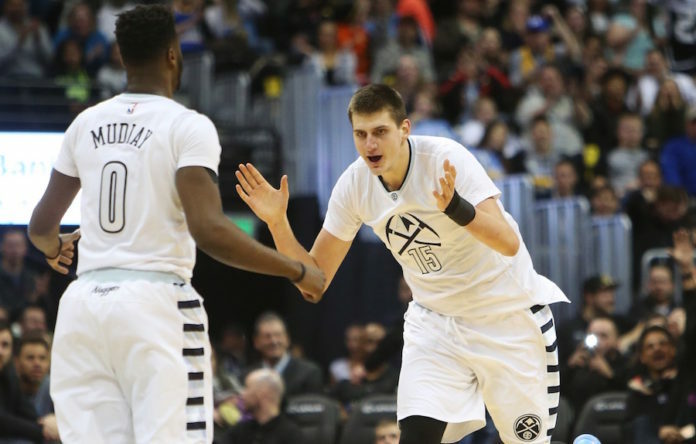 I’m going to try to not spend too much time on Jokic, only because I feel like all I’ve been doing is singing his praises for the last month, but he deserves it. He’s special. As I detailed last week, he’s been putting up numbers on a per-minute basis that only four centers in NBA history have ever matched. 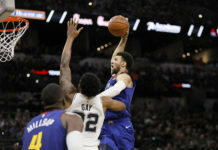 And on Monday, when he actually got the minutes to back up those extrapolated points, rebounds and assists, he over-performed, putting up 27 points, 15 rebounds and nine assists! How insane of a performance is that? According to Pro Basketball Reference, Jokic is only one of two centers to put up that stat line in the last 13 years (the other was DeMarcus Cousins). But the individual numbers are just part of the story. Simply put, when he’s on the court, the Nuggets are an entirely different team. 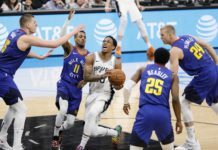 To put that into perspective, the Denver Nuggets are the equivalent of the worst team in the NBA when Jokic is off the court — the 76ers are last in the NBA with a net rating of -7.8. When on the court, the Nuggets are essentially a top-10 team. 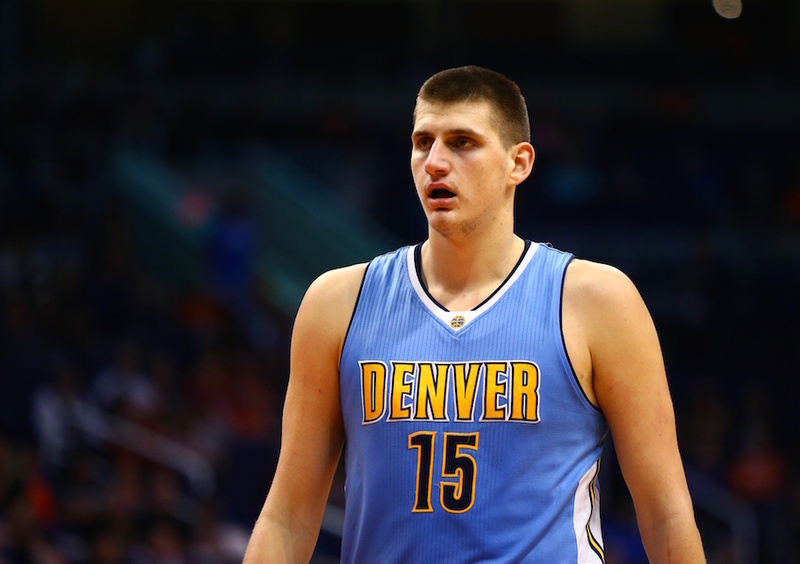 Jokic is the centerpiece of the Denver Nuggets franchise; he makes this team run. Having him in the starting lineup playing 30-plus minutes a game changes everything.